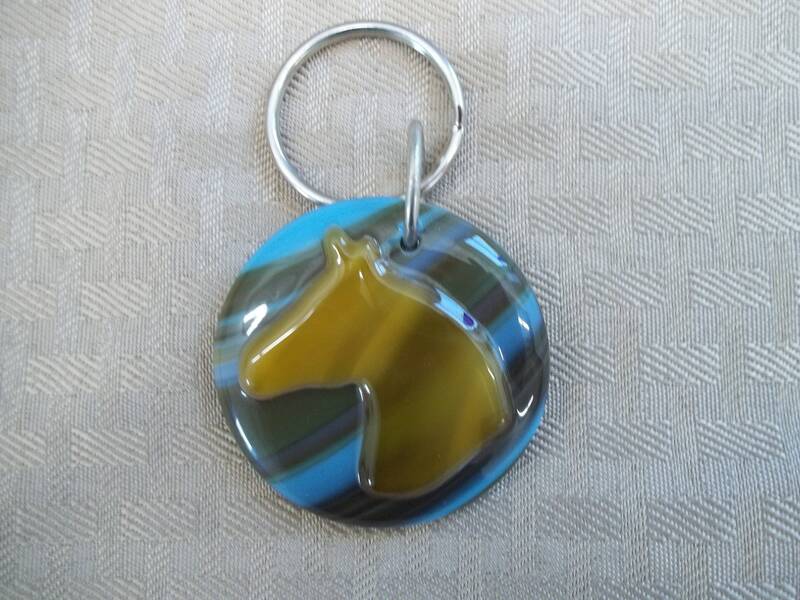 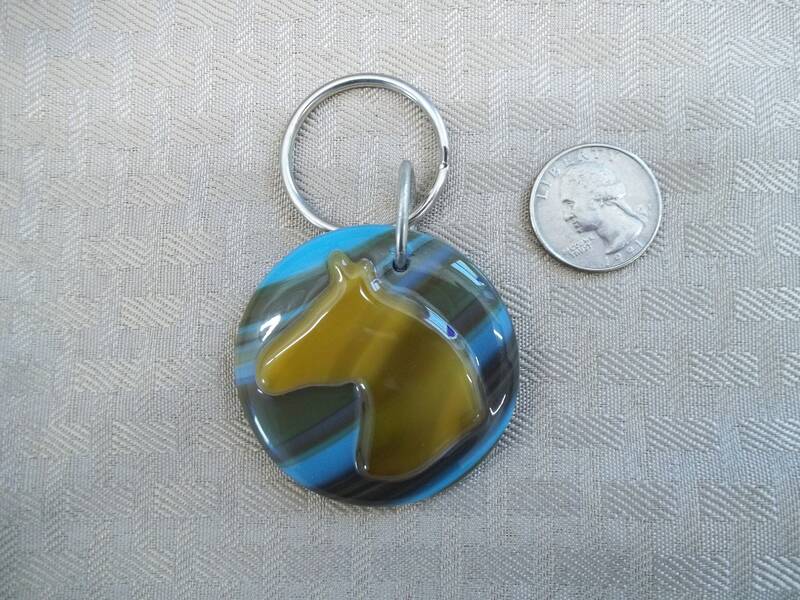 This fused glass horse key chain has a southwestern flair to it. 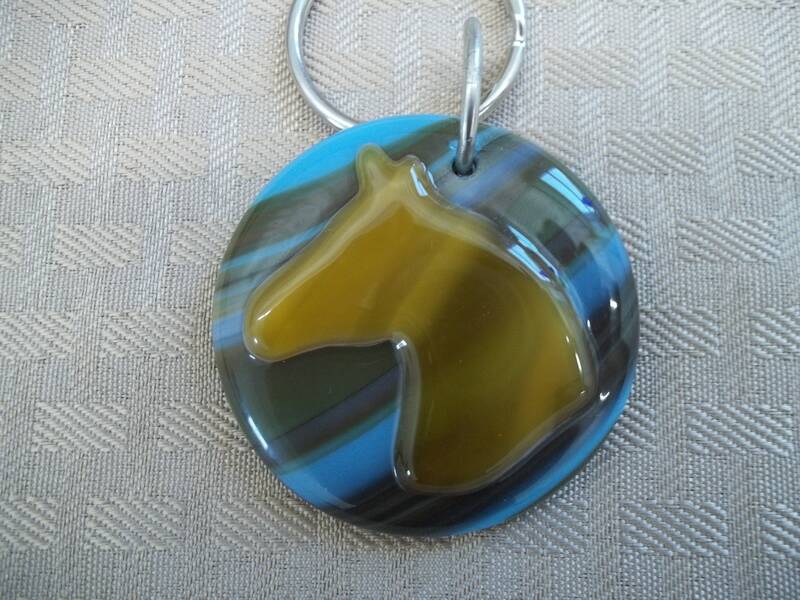 Completely handcrafted and handcut, this piece was fired in the kiln twice and it is two layers thick measuring 2" in diameter. 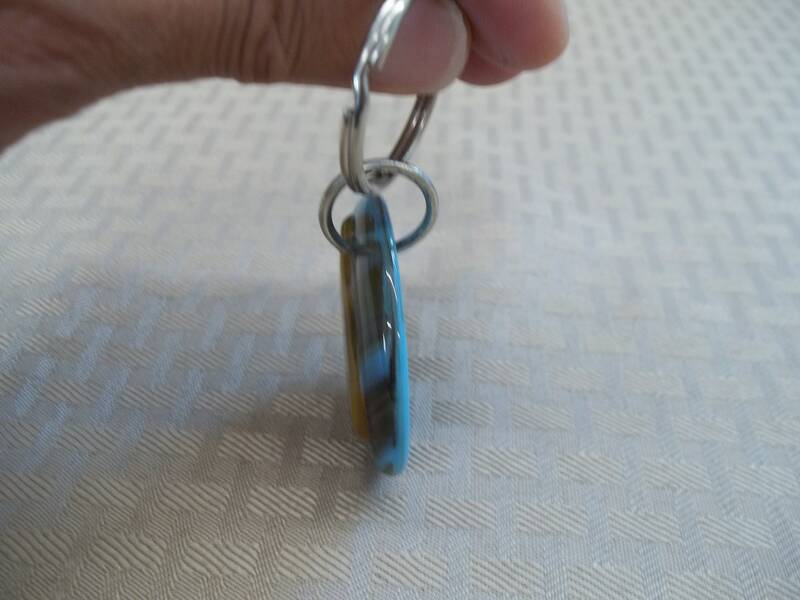 This unique key chain will be the only one you see like this.